Because the models were all wearing sleek Philip Treacy hats, the hair mandate was: the tighter and the more controlled, the better. 1. After finishing blow dry of hair, make a center part and divide the hair into two sections. 2. Hold or secure hair at the temple area on both sides—almost like you’re gathering pigtails—and spray Oribe Imperméable Anti-Humidity Spray ($38) lightly throughout to keep the hair smooth. * With this wrap, you need to sweep hair from the left section over to the right side of the head, and vice versa…the hair will crisscross low in back make a turban shape. 4. Complete the same process with the right section of hair. Secure with more pins, and use Oribe Imperméable when needed. 5. After the wrap process and pinning is complete, spray the hair with Oribe Superfine Hair Spray ($29) for shine, polish and hold. 6. Finish with a round of Oribe Superfine Strong Hair Spray ($34) if you want to keep the hair especially locked into place. 7. 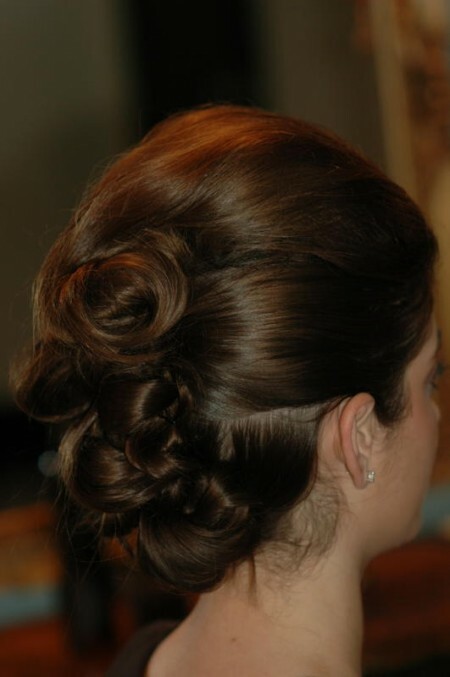 Once the hair spray is dry, you can remove some of the pins for a more polished look. 8. 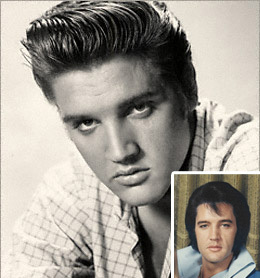 Top off the style with a hat or hairpiece, or just wear it alone. *The key to this look is taking your time and keeping the hair smooth. It’s a beautiful, interesting way of wrapping the hair and evenly distributing it across the whole head. It’s OK to break the rules, as long as the end result is polished and even. Trends can sweep in as if on an unstoppable avalanche, changing the landscape entirely (until they run their cycle); such is what the fringe (bangs) did back in 2007. But it doesn’t have to end there. Some can drift on, lingering, having smaller bursts of renewed vigor. This year the fringe makes one such return as a 2011 hair trend. 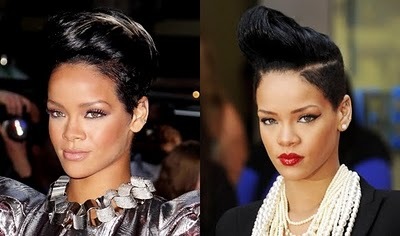 A pixie crop is also perfect with a fringe in 2011, but a slightly different type of fringe. Rather than being cut separate to the rest of the hair, it should all be a continuous; the crop simply cut longer in front to create the effect of bangs. 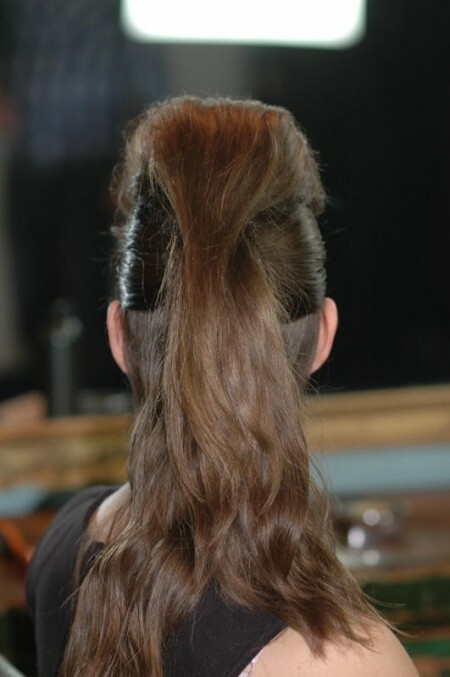 Back when it appeared on the Lanvin spring 2010 runway, we termed it a birds-nest topknot that’s Hitchcock heroine meets modern-day bedhair; and, as 2011’s hair trends continue to evolve it’s the type of topknot that’s come out on top (pardon the pun). Why? It can still be a little wispy, a little messy; but it’s elegant. 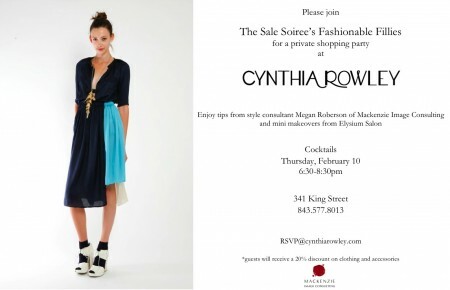 Thus, it’s a runway hair trend that we’ve already seen translated to the red carpet. Chanel carried the look over to pre-fall 2011, ornamented by embellished headbands. First, apply liberal amounts of Oribe Creme For Style to the mid-lengths and ends of the hair. Blast with a hairdryer to dry the mousse into the hair. 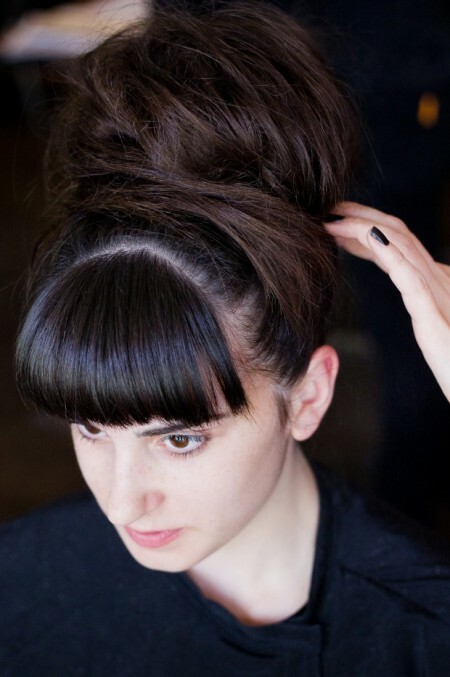 Pull the hair up into a very high ponytail on the top of the head. Brush the ponytail out just a little bit to even out the texture, then wrap the hair around the ponytail to create a messy topknot. Secure with bobby pins all the way around. Finally, spray the hair with Oribe Super Fine Strong Hairspray. For the Chanel pre-Fall 2011 version of the style, simply add a headband – and, if desired, tug out a few loose pieces of hair to create a more wispy finish. via fashionising Before we discuss the year’s hair colors it’s first important to discuss a the year’s rule. 2011 is not just a new year, it’s a new decade, and new decades bring more than just slight change, they bring about an entirely new generation of thought. It’s a case of out with the old and in with the new, and such a mindset is applied to everything from society’s outlook to the aesthetic styles it embraces. This new decade will be no different. The most dominant clothing trend of the last decade, military fashion, is finally being pushed to the back of the wardrobe. And hair colors are undergoing a major change too. Yes, it’s almost cliche to write it, and somewhere a Nike lawyer is checking to see if we’ve just infringed their trademark. I confess though, cliches are easy to remember and when you’re picking your new hair color for the year I want you to remember that one rule. Again, just change it. Pick a color that suits you, one that gives you confidence, make it a shade that’s on trend, and go make that hair color your own. Where has the inspiration for the “just change it” rule come from I hear you ask. While the start of a new decade inspires change, there are also those people driving the idea of simply changing your hair color as a trend in itself. Pompadour Style by Charlotte @ Elysium Salon Charleston S.C. 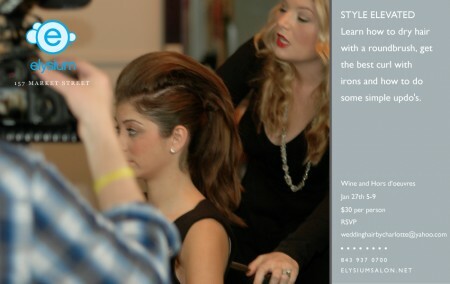 Hot In My Salon – Elyisum Salon (7min Edit) from Hunter Boone on Vimeo.